In April 1984, Raheleh Rahemipour’s newborn niece was forcefully abducted while in custody of Iran’s Evin prison. Earlier, in August of 1983, 35-year-old, Hossein Rahemipour Moghaddam and his wife, whose identity is protected, were arrested at their house in Tehran. They both belonged to a communist organisation, Rahe-h Karegar, whose members were chastised by the Iranian State. Members of the Revolutionary Guard (IRGC) arrested the couple while Mrs. Rahemipour Moghaddam was already pregnant. 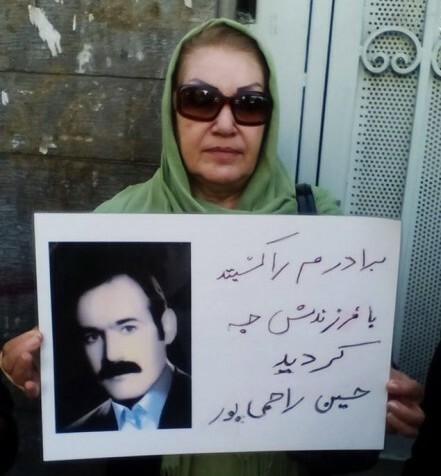 On April 9, 1984, while in custody of the Evin prison; she gave birth to their daughter, Golrou Rahemipour Moghaddam, who was taken away from her a few days later by the prison officials. The parents and their families were told that the baby had died. However, the Iranian authorities have never revealed any information about the fate or whereabouts of baby Golrou. In September 1984, an Evin prison agent informed the family of Mr. Rahemipour Moghaddam that he was “sent to hell”. The family did not receive the body of Mr. Rahemipour and the circumstances of his alleged death or burial are unknown. After over a year of agony and torture, Golrou’s mother was released from prison, in January 1985, while suffering from an acute heart condition. She had no knowledge of her daughter’s whereabouts and was never provided with a death certificate. 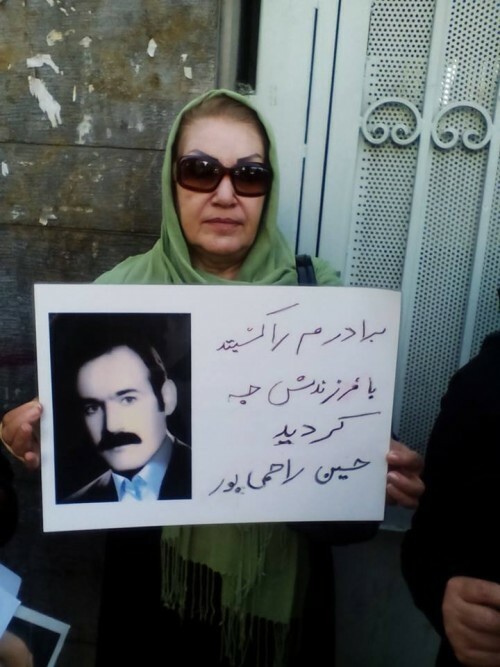 On multiple occasions, Raheleh Rahemipour and other relatives went to Tehran’s main cemetery and were told that officials have searched in their list but failed to find any records of Rahemipour Moghaddam or his daughter’s death or burial. As a measure of last resort, Raheleh Rahemipour has participated in multiple protests in front of the Evin prison, the Bar Association, and Dena Tire Factory which is owned by IRGC. Despite the fact that enforced disappearances are a crime under international law and the Iranian State has an obligation to investigate all cases of enforced disappearances, Raheleh Rahemipour and other protesters have been intimidated and threatened with arrest. According to WGEID‘s 2015 report, currently 518 cases of forced disappearances of Iranian nationals is under review by the United Nations. Justice for Iran calls upon the international community and UN WGEID to investigate this matter and similar cases of abduction and to launch prompt and impartial investigation to identify those responsible in order to bring them to justice.